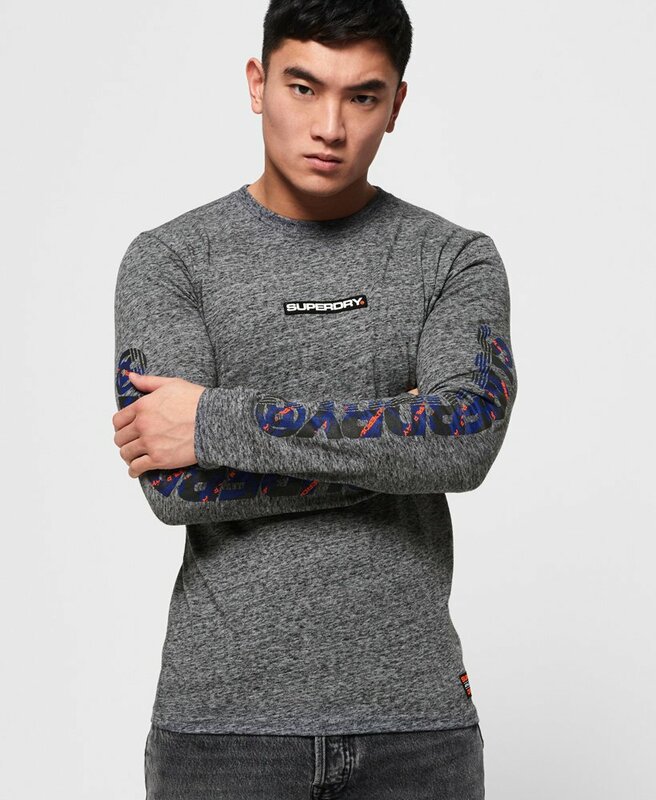 Superdry men's Trophy camo long sleeve t-shirt. This soft touch, long sleeve t-shirt features a crew neck, logo badge on the chest and textured logo detailing down the sleeves in a camo print. Completed with a logo badge above the hem, the Trophy camo t-shirt is a must have update to your t-shirt collection, just style with jeans and trainers for an easy outfit to wear everyday.